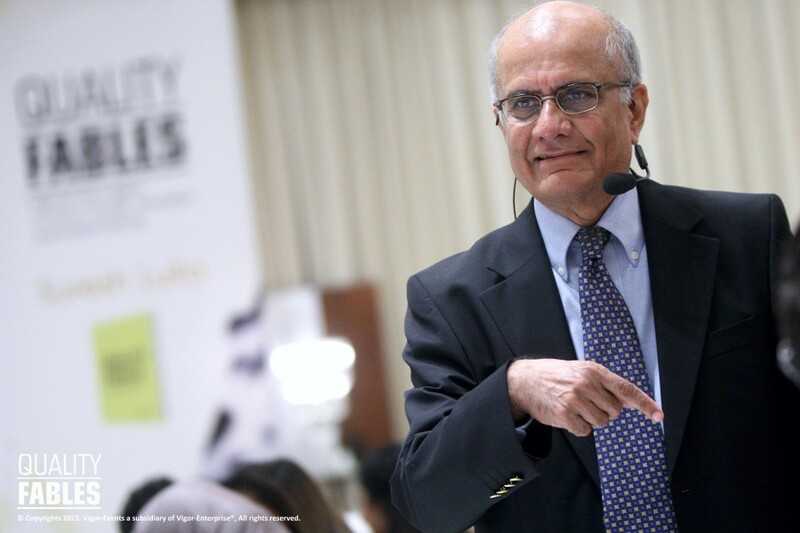 March 26th 2015 – Vigor Events, in cooperation with Gulf Lead Consultants; hosted the “Quality Fables Seminar” with distinguished Facilitator Suresh Lulla, who shared his finest experiences with clients through short narratives that make a significant point. The seminar was based on Suresh’s real experiences with his clients who have taken informed decisions based on knowledge, experience, ideas and hope. It highlighted the many lessons he has learnt on problems and solutions for leadership, strategic planning, customer driven quality, cost driven quality, human resource management and more. The Seminar showcased the evolution of quality from craftsman to business excellence. The attendees learned the foundation and infrastructure of Quality Management through fables on leadership, strategic planning and Employee & Customer focus. The program is designed to train leaders and managers from any discipline and enlighten them with stories of Quality Management leading to higher revenues and lower costs. It is worth mentioning that Suresh Lulla, a distinguished alumnus of IIT Bombay, has made a mark through his work in the field of Quality. He is a veteran professional with over 45 years of experience as a management consultant, speaker, trainer, and author. He founded India’s first dedicated Quality Management consulting firm, Qimpro Consultants in 1987, and has helped save over USD $ 2.8 billion for organizations across industries. His pioneering contribution to quality practices include companies like Larsen & Turbo, Aditya Birla Cement, Taj Mahal Hotel, Sterlite Copper, Jet Airways and many others.